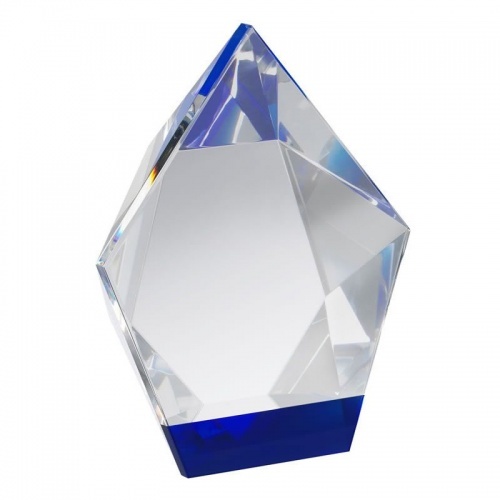 A beautiful award from any angle, these mutifaceted diamond shape awards have a blue glass base that adds colour to the myriad of light refractions as the award is held and turned. Available in three sizes, perfect for creating 1st, 2nd and 3rd place awards or to fit a range of budgets, these crystal awards have a flat front for engraving. These crystal diamond awards are supplied presentation boxed.